In terms of juicing and health, your best option is to do the juicing yourself using fresh ripe raw fruits and vegetables. When you hear the word juicing what comes to mind? Perhaps you think of juices in a small pouch, box, or can. Those aren't juices as Mother Nature intended them to be. Many juices at your local supermarket are laden with artificial sweeteners, colors, preservatives, and they’re pasteurized which destroys nutrients and enzymes. Such Frankensteinian juices basically do more harm to your health than good. 1. Should I drink the fruit or vegetable juice immediately after making it? Truth be told, fresh fruit and vegetable juice is one of the most perishable foods on Earth, so ideally you should drink it right after making it. That said, as a matter of juicing and health, if you store the juice correctly then you could drink it throughout your day. Keep the juice cool and in an opaque container, so light doesn't harm the juice. Some juicers like the twin gear models are designed to extract the juice in such a way that the juice can be consumed up to 24 hrs later with minimal nutritional drop off. 2. What should I do with the excess fruit and veggie pulp? Many people add the pulp to another recipe, perhaps a raw food nut and seed loaf, blended soup or stew, or simply return it to nature via your compost heap. It can be fed to pets and livestock, or simply spread around the bottom of your garden plants. The later may draw flies or rodents depending on what the pulp consists of so composting may be a better idea for sweeter pulp. Remember the age-old saying of waste not, want not. 3. What are the best veggies to juice? Celery and cucumber are great as they add water and cut the sometimes bitter greens, as well as proving great nutritional value. Herbs, such as parsley and cilantro are yet another excellent choice in terms of juicing and health. 4. Why should I juice instead of consuming raw vegetables? Thanks to the modern diet, many of us have damaged our intestines with the cooked and processed foods that we've eaten. Thus, it's difficult for our bodies to absorb vegetables fully. However, one of the benefits of juicing fruits and vegetables is that juicing pre-digests the fruits and vegetables for you, optimizing the amount of nutrients that your body can absorb. Another practical juicing and health issue is that you should consume about one pound of raw veggies, for each 50 pounds of your body weight. That's a tall order for many of us, so juicing makes it more practical. 5. Should I daily drink juice from the same fruits and veggies? In short, the answer is a resounding, no. Your body needs nutrients and enzymes from a wide variety of vegetables. Try to juice with the seasons by juicing those fresh fruits and vegetables that are in season for your region, and change your juices as the produce changes. Yes, variety IS the spice of life! And of course sometimes depending where we are, we may not be able to follow this completely so we do the best we can where we are in the moment. 6. What if I don't like the taste of veggie juice? While this isn't particularly an issue related to juicing and health, it's definitely an important issue. You can easily improve the flavor of veggie juice by adding cucumber, celery a few apples, or other fruit. Over time your taste buds will return to their natural state and you’ll gain a new appreciation for all types of veggie juice. 7. Can I use juicing as a method of fasting? 8. 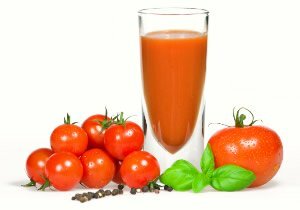 Can I drink my juices with a meal of solid foods? For best digestion and assimilation of nutrients you should always take your juices alone on an empty stomach, or at least 20 to 30 minutes before a meal. 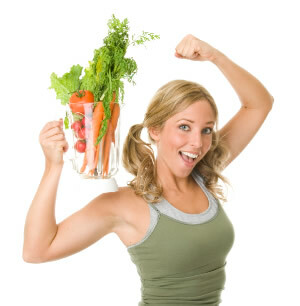 If you want a fun and exciting way to enjoy a raw food diet, then consider juicing. These FAQs can make your juices tastier, healthier, and more enjoyable! "Fresh juice is the nectar of the Gods."